Sure-Foot has been creating footing solutions for more than 30 years. Take a step in the right direction with us and implement a BOLD STEP® anti-slip aluminum Hazard Safety Plate. Our line features a two-part epoxy system that’s designed with mineral abrasive grit and is closed cell for easy cleaning. 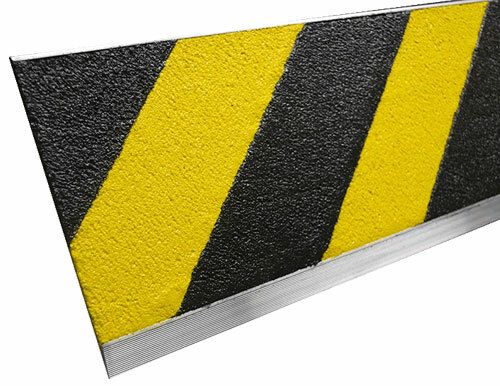 BOLD STEP Hazard Safety Plates are available in one color formats, as well as our striped hazard pattern. Standard colors include grey, red, brown, glow, black, blue, dark green and hazard. One prominent size is the 7” Hazard Safety Plate.